Sunday, March 19th, 10:00 AM at the Perkins restaurant in Madison Square (305 Madison at Ness, just west of Polo Park). Doors open 2:45 pm. 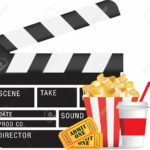 Films start at 3 pm. Following the presentation by Maysoun Darweesh of the Manitoba Interfaith Immigration Council (MIIC) at our meeting in November, my wife Carmen and I have become hosts for a family of new Canadians. 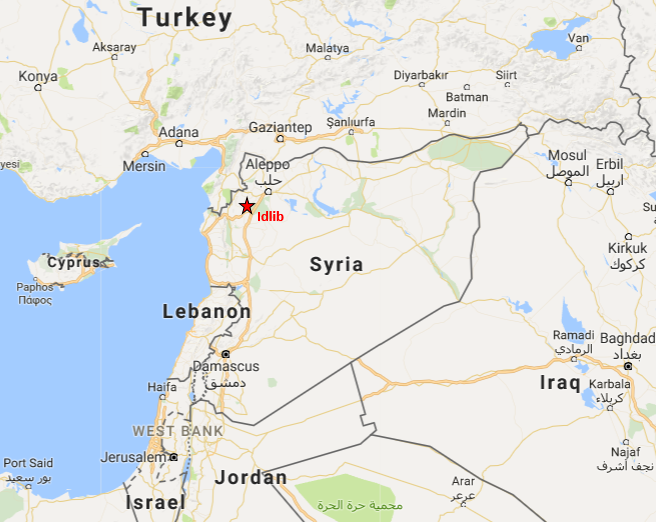 They are from the city of Idlib (in red on map), in the Idlib Governorate in Syria, located just 59 km southwest of Aleppo. They arrived in Canada on January 1, 2016. We applied to and were accepted for the MIIC’s “Host Matching Program”. We will be their newest and, as it turns out, their first Canadian friends! Khaled and Asmahan are parents to three lovely young children ranging in age from 18 months to 8 years old. Khaled was most recently a truck driver at home, but considers himself a construction worker. Asmahan is mainly a stay-at-home mother, but she has some serious bead working, knitting, and crocheting skills that we will be able to tell you more about after we get to know them better. 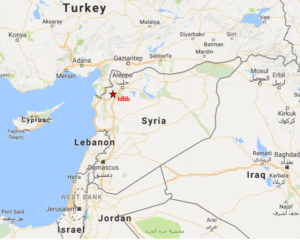 Their area in Syria and their city saw some of the earliest fighting in the Syrian Civil War. Much of their town has been destroyed in the conflict, including ruins dating from thousands of years ago. My heart goes out to them, already, just for this. Their eldest, a daughter, is in grade 3 at her local school. She wants to be a doctor, a teacher or a paleontologist (she is in her dinosaur phase!). She is very bright and her English is already surprisingly good. The middle child, a boy, attends kindergarten, is shy, and we only saw him get animated after we had been together for about an hour and a half. Their youngest child, another girl, slept most of the time we were together, but we saw her playing with her siblings as well. Both parents come from large families. Khaled is the youngest of ten, while Asmahan is third youngest of 12. While their surviving parents seem to be still residing in Idlib, their siblings are dispersed across the region, Europe, and now, North America. Their story is not unusual in this respect. They are able to maintain some contact by phone and over the Internet. During the thirteen months they have been in Canada, they have had no sustained contact with anyone here. We will become their family, since it seems they have none left in Syria, either. I am expecting many people to be called upon to help as needs become apparent. Khaled has applied for a special program at RRC that will give him special instruction in both English and in construction. It will also place him afterward! If he can get into that program, it will be a big step to making this family self-sufficient. Asmahan could sell some of her crafts. I am hoping to help her make those connections. Both parents are studying English at the Seven Oaks Adult ESL school. They have a vehicle, which they do not use very much, and Asmahan is learning to drive. Our discussions led to us to understand that they already appreciate the secular nature of life in Canada. They were subjected to various kinds of discrimination in their homeland and in Lebanon. They also saw its effects on others. While they are nominally Muslim, I expect the Humanist aspect of our world view will appeal to them as they come to understand how we come to be so accepting of our differences. We expect to get the family out to do some normal family things, like tobogganing and skating. Other ideas will come as we get to know them better. As far as we can tell, they have never even been to the zoo! It takes a village to support a family, and I know HAAM members are already stepping up to help. I would like to hear from anyone reading this article who would like to be included in the work required to acclimate this young family to their new permanent home. P.S., They all love cats! That means our Ringo will have more family to contend with now. Does Your Advance Care Plan Include Spiritual Care? 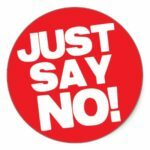 With the recent legalization of assisted dying (now commonly known as MAID – medical aid in dying), you may have seen in the news lately that some publicly-funded health care facilities are refusing to allow MAID on their premises because of their religious affiliation. This has led to questions from our members about the influence of religion in public hospitals. Most of us don’t get to choose which hospital we are taken to when we are ill – so how do you feel about being admitted to a faith-based facility? Just as an ACP (Advance Care Plan) provides for your wishes to be respected in regards to medical care and treatment, perhaps it’s also worthwhile to make your wishes regarding ‘spiritual care’ clearly known if you feel strongly about that. It’s pretty simple to do this. Your Manitoba Health card must be presented whenever you require medical treatment. So if you have an ACP, or any other wishes or requests, just note that in writing and keep it with your Manitoba Health card. A sample card is shown here (click images to enlarge). Dying With Dignity used to mail out these cards out with ACP packages. 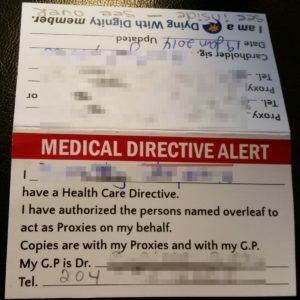 They don’t mail cards anymore, but you can easily make a similar one yourself and include the same information – the names of people to call in an emergency to make medical decisions for you, the name and phone number of your family physician, your signature, and the location of your ACP if you have one. On the back of this one it says “I am an atheist. 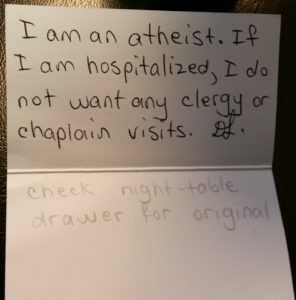 If I am hospitalized, I do not want any clergy or chaplain visits”, followed by initials. Making sure your wishes are known and clearly stated can save a lot of grief and hassle later. We have written about spiritual care in hospitals before – check the October 2016 newsletter if you missed the articles. It’s been several years since the Rainbow Resource Centre was our Charity of the Month, so it’s overdue – and their current need couldn’t be greater. Recent and ongoing political upheaval in the USA is leading members of the LGBTTQ community there to seek asylum in Canada, and as a result, RRC is overwhelmed with calls for information and counselling. RRC was busy enough even before this latest crisis. 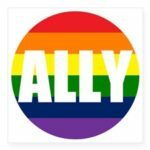 Since its inception as the ‘Campus Gay Club’ at the U of M in the early 1970’s, it has been a leader and important resource for the gay and lesbian community, providing community services, education, outreach and political awareness, and activism. 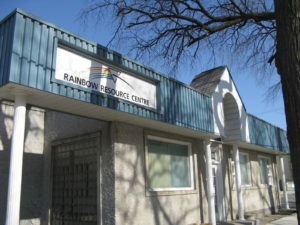 RRC offers support to the Lesbian, Gay, Bisexual, Trans, Two-Spirit, Intersex, Queer, Questioning and Ally (LGBTTQ*) population of Manitoba and North Western Ontario through counselling and peer support groups; provides education and training for schools, school divisions, and GSA’s (gay-straight alliances); hosts events, workshops, and social activities for clients of all ages; and houses and coordinates a wealth of resources, including a library, a toll-free phone line, and links to LGBTTQ-friendly crisis centres, legal aid, peer support groups, health care, and more. RRC depends on donations to help keep all these operations going for the long haul, and now to assist refugees as well. Please lend your support to this worthy cause! Have you donated blood yet this year? Canadian Blood Services’ Partners for Life program is a friendly competition among organizations, schools, and businesses to encourage their members to donate blood. We just got our participation report for 2016, and HAAM did really well, especially since we didn’t even promote it until mid-summer. 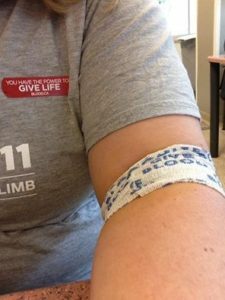 Fourteen HAAM members have enrolled in the program, and those members gave a total of 19 units of blood, or 76% of our goal of 25 units. A few more HAAM members sign up. All the information you need is here on our website. There’s also a handy link to that info on the right sidebar of our Home Page for future reference. By donating blood, you can not only save someone’s life (enough reward in itself, right? ), but show the world that Humanists are good people (who donate blood). Upcoming clinics: You can donate at the main clinic on William Ave (across from HSC) during their regular hours (Mon 10-2 and 3:30-7:30; Tues 1:30-7; and Wed-Sat 8-2). Or check the list of mobile clinics at the top of any page on the CBS website. The first three are from a video series called Genetics and Evolution, by Stated Clearly. 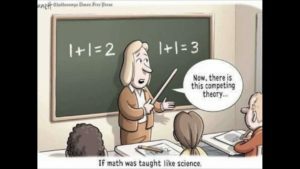 Does the Theory of Evolution Really Matter? The last video was a clip of a speech by Richard Dawkins comparing the worldview of someone whose religious belief prevents him from accepting reality to someone whose commitment to truth requires him to reject a long-held belief when new evidence against it is presented. If you are interested in learning more, there are links to additional videos and other resources, including the complete Genetics and Evolution video series, on our Exploring Nonbelief web page. Check it out! P.S. If you weren’t at the meeting to get a piece of Darwin’s birthday cake, you can at least see a photo of it in our Gallery. It’s comedy month, so here’s something fun. 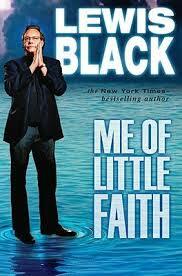 Not all of the books in our library are serious and educational; we also have a few about popular culture, including Me of Little Faith by comedian Lewis Black. Raised as a non-practicing Jew, Black noticed unsettling parallels between religious rapture and drug-induced visions while attending college in the 1960’s, and since then has turned an increasingly skeptical eye toward the politicians and televangelists who don the cloak of religious rectitude to mask their own moral hypocrisy. The more than two dozen short essays in this book include hilarious experiences with rabbis, Mormons, gurus, and psychics. Black pokes fun at every religious figure and issue he can – the Catholic Church, Mormons, people who commit suicide in the name of faith, Jews, and of course Jesus and God. Find it in our Library. 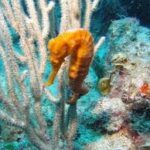 I worked on this newsletter while on vacation in Roatan, Honduras. Here’s a little personal note about that trip. We booked our flights, via Chicago and Houston, long before we had any inkling of Trump becoming president, so we experienced a lot of anxiety about traveling to the US when the time finally came. I spent an hour before we left deleting all the memes, news articles, and videos I had shared on Facebook mocking Trump and criticizing the US government – just in case my phone or laptop was searched. But we passed through airport security without a hitch, except for my husband being asked for his Social Insurance Number. He did remember most of it, after a couple of attempts; what might the customs officer have asked or done if he had not? I felt guilty, in solidarity with everyone who is not white, about not being stopped and searched. We spent our layover day in Houston at the Museum of Natural Sciences, figuring that if we were going to spend any tourist dollars in Texas, they might as well be directed toward science and education. The museum’s paleontology exhibit is comprehensive and about the size of a football field. I saw Tiktaalik! 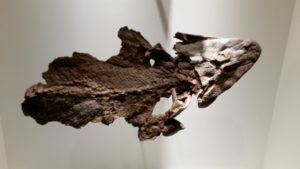 (in photo) There were references to evolution in almost every display, and the museum was packed with school children on tours. I heard a guide state that they get 600,000 kids a year through there on school field trips. That just doesn’t jive with what we hear about scientific ignorance and rampant creationism. In the evening we joined a group of people from the Houston Atheists at a pub. There were about a dozen attendees, so we spent an interesting couple of hours comparing notes about our groups’ activities and ideas. They are a loosely-knit organization that mainly uses Meet-Up to advertise small social gatherings at various venues around the city. Not surprisingly, their main focus right now is political activism and separation of church and state issues. One of their members is a high school teacher, so he was able to shed some light on the religion-in-schools issues we read so much about in the media. He said there’s a huge urban-rural split (sound familiar?) in worldviews, with most of the anti-science attitude and push for creationism coming from outside the major cities. He also explained that there is a huge discrepancy in the quality of the education among public schools, depending mainly on the socio-economic level and ethnicity of the communities they serve; but that generally, what we read about represents the egregious infractions of a small minority. Overall, we experienced no trouble on our one day in Texas; but like several members of the Houston Atheists warned – venture outside the city limits and it’ll be a different story. Not one I’m particularly yearning to read. 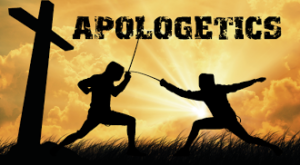 Two of our members were recently interviewed by a pastor for a church conference designed to teach Christians how to defend their faith to non-believers. 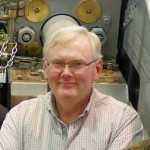 In Part 2 of his report, Pat Morrow describes his weekend at that conference. Both parts of his report appear on our Perspectives page. You can read Part 2 here. For more information on these events, check out our Events page or click on the event name in the right sidebar. You can find past events by using the ‘Search this Site’ tool, also in the right sidebar. Do you celebrate Thanksgiving without thinking too much about who you’re thanking, now that you have left religion? Do you struggle to explain the holiday to children? 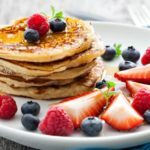 The very name of the holiday implies giving thanks, but if you no longer believe in a god – or never did – you might need to pause for a moment to think about who the recipient(s) of your thanks might be. 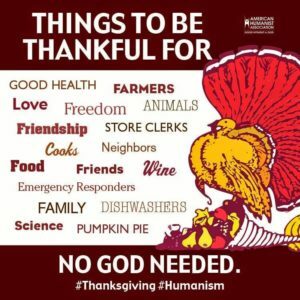 Humanists have just a much reason to be thankful as anyone else – and real people to thank. We can be thankful to each other for family and friendship, thankful to the people who grew and prepared the feast, and thankful to nature for all that it has provided. We are grateful to the men and women who planted the crops, cultivated the fields and who gathered in the harvest. We thank those who prepared this fine meal and also those who will serve it to us. Yet amid this plenty may we not forget the many of our brothers and sisters, and especially their children, in our own country and elsewhere, who do not share in our good fortune, who are hungry, cold, sick and troubled by the bitter burden of poverty, the curse of war, and the despair of hopelessness. So may our enjoyment be graced by understanding and tempered by humility. Let us be kind to one another and to all those with whom we share this brief existence. There are a number of websites that offer secular ‘prayer’ suggestions. You can find some more good ones here and here. Who gets access to patient information? It has come to our attention that some hospital patients are still being subjected to prayer and proselytization without their consent. Much of this is informal, mainly in the form of well-intentioned but misguided remarks made by visitors and staff; but some of it falls under the guise of ‘spiritual care’. We wrote about this before in our November 2015 newsletter – and now need to correct/clarify that article. Strictly speaking, it’s not hospital chaplains who are no longer allowed to visit patients without their consent – it’s community clergy who are restricted. Traditionally, community clergy have considered hospital visits a part of their ministry to the sick, and many churches hold weekly services for patients in their local hospital’s chapel. Up until a few years ago, a priest could just stop at the hospital’s information desk and get a printed list of all the patients who identify with his denomination, so that he could ‘pop in’ for a visit or invite them to the service. And that is what’s no longer allowed. Visiting clergy no longer get access to patient names unless the patients consent to have their names released – and so they are asked about this on admission. (The WRHA policy on this is here.) But this restriction applies only to community clergy – not ‘spiritual care’ employees (hospital chaplains). In practice, if patients don’t state a religion on admission, or say that they don’t want their name on the clergy list, spiritual care staff don’t usually visit. But because spiritual care workers are employees of the hospital, they are considered part of the health care team, so they can be consulted or gain access to patient charts in the same way as members of any other discipline (e.g. social workers or physiotherapists). What’s a ‘Spiritual Care Provider’? ‘Spiritual Care Provider’, or ‘Spiritual Health Care Practitioner’, is the new name for ‘hospital chaplain’. The term is more inclusive than ‘chaplain’, because it encompasses multiple faith/belief systems, in some cases even Humanism and atheism. But let’s face it – ‘spiritual care providers’ in Manitoba – and across North America – are overwhelmingly Christian clergy. In cosmopolitan cities, it’s quite likely that there are staff who will serve people of various faiths and beliefs, including Humanism, but in a small rural community, or anywhere in a Bible Belt area – good luck with that. When Manitoba passed the Personal Health Information Act in 1997 (current version is here), the privileges of all these religious practitioners (both hospital chaplains and community clergy) became restricted. Community clergy were no longer allowed access to patient information without consent, but the role of hospital chaplains was a little less clear. Initially they were technically out of the loop, too – but a 2004 amendment added them back in. According to a letter of explanation regarding that amendment, the term ‘health’ was redefined as being sound in ‘mind, body, and spirit’ – so spiritual care providers are back on the health care team, and health care ‘expressly includes spiritual care’. 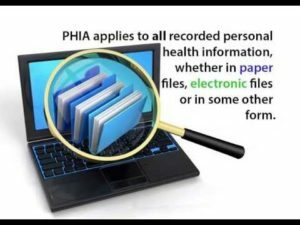 The letter goes on to state that since PHIA restricts the collection of personal health information to only that which is required to carry out care, patient information should be released to spiritual care providers only if the patient requests the service, or if a referral is made (emphasis ours). What does this mean for Humanists? It’s that last part (about referrals) that has some HAAM members concerned. The intent of the amendment to PHIA is that as with any other health care service offered by a health care facility, spiritual care will be provided pursuant to a referral or request. But often, referrals are made without asking or notifying the patient. Usually this is just routine. Most patients with fractures, for example, get a referral to physiotherapy, and the doctor may not even think to mention it. When the therapist shows up, the patient doesn’t question it, either – it’s an expected part of care. Likewise, a nurse who hears a patient expressing concerns over family, finances, or employment while in hospital may call the social worker to assist – again, perhaps forgetting or not even thinking to inform the patient ahead of time. But what happens when a patient expresses sadness, loss of hope for the future, or grief over a poor prognosis? Oftentimes, staff ask a spiritual care provider to come and offer support. That’s where, as stated in last November’s newsletter article, a certified mental health professional or counselor might be a better choice than a chaplain – but there are usually none available, because hospitals employ chaplains instead of counselors. So a well-meaning staff member refers the patient to the spiritual care department – again, sometimes without their knowledge or consent. Staff in a predominantly religious community, or who are religious themselves, may not even think of this as controversial – they believe that the referral is appropriate and that they are helping. And so a chaplain appears at the beside. You may find the spiritual care provider helpful, or not, depending on his or her beliefs, preparation, and skills, and your needs and personal preferences. Most of these ‘chaplains’ are genuinely caring people, used to conversing with all kinds of different folks, and their mandate is to provide support to all patients who need or want their services, regardless of belief system. You can read a description of the ‘competencies’ required to be a spiritual care provider in Manitoba here. It’s a pretty broad field, and the document implies that almost any ‘spiritual practice’, including reiki, therapeutic touch, and other forms of woo, is legitimate. The bottom line, of course, is that just like any other treatment or test, patients can refuse spiritual care – but they would have to know to do so, and in particular, they would have to know to tell staff that they don’t want chaplains to have access to their personal information. Or, alternatively, they would have to know enough to ask (or demand) a Humanist – or at least a person who is flexible enough to include Humanism as part of their repertoire of worldviews – as their spiritual care provider. Make sure your family knows your wishes about spiritual care (if they are willing to honor them). Make your health care proxy aware of your wishes about spiritual care as well as health care. Write your requests on a card and put it in your wallet along with your Manitoba Health card, Advance Care Plan, and Organ Donor cards (you do have those, right?). ID is one of the first things that emergency responders look for when they are called to a scene. Add a note about your spiritual care preferences to your Advance Care Plan and ERIK kit and have those readily available, stuck on your fridge with a magnet. 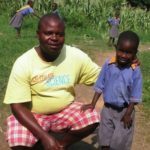 In October we’ll be raising funds for John Bogere’s annual tuition and the Kasese Humanist Primary School. This month’s featured book is a little different. For starters, it was a gift – from a very earnest, soft-spoken young woman who pressed it upon our volunteers at the Outreach table in Morden last month. No small gift from a total stranger; it sells for $15 on Amazon.ca. But she was very insistent, and so we accepted it to add to our library. 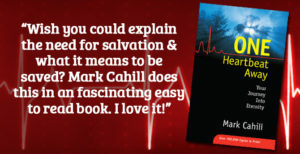 The book is One Heartbeat Away – Your Journey Into Eternity, by Mark Cahill. And why was our visitor so insistent that we accept it? Because to her, it’s a very special book. It’s the book that will guide us to the Truth. 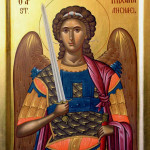 She agrees with the author’s assertion that “once you know the truth about the Bible, creation vs. evolution, heaven and hell, sin, and the cross, there is only one logical decision to make”. Cahill claims that he has evidence for biblical truth and that it will compel the lost to come to Jesus Christ for salvation. This book answers the question “What do you think will happen to you when you die?” by describing the most often cited ‘evidence’ in favor of the Christian answer to that question. Cahill describes experiences recalled by people who have been resuscitated while dying, as well as those who experienced hell while dying, and he mourns the terrible loss that occurs every time that a soul is lost to God. If you have escaped a fundamentalist form of Christianity, you probably won’t want to read this book – and don’t need to. You already have a pretty good idea of what it says. But if you grew up secular, or in a liberal Christian denomination, and you’re looking for some insight into the fundamentalism, this book will be enlightening. Or hey – if you’re open-minded and willing to see if it convinces you, check it out! And if you find Jesus and convert, be sure to let us know. You can borrow this book, or any of the others in our library, at the October meeting. Check here to see a complete list of the books in our library. If you find one you’d like to read, you can reserve it online and we’ll have it for you at our next meeting. Who’s interested in singing for fun? HAAM has a small group of singers who perform at events when we can get enough people together and prepare something suitable. Repertoire varies – almost any genre goes, and may include traditional religious music with parody lyrics, or anything that might be entertaining or inspirational to a secular audience. Our next gig will be (hopefully) at the Winter Solstice Party. Because we only get together sporadically to rehearse, we are hoping to get some people who read music and can learn most of it on their own. But we need people to support the melody line, too. 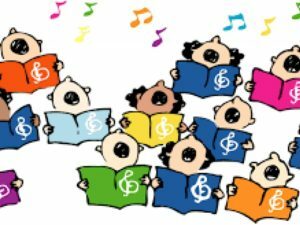 If you like to sing and can stay on the notes, we’ll find a part for you! Here’s a great opportunity for anyone who misses singing in their old church choir! If you are interested, contact HAAM. This article appears on our Perspectives page. You can read it here. A new interfaith group springs up in Winnipeg – does it live up to its name? The Winnipeg Police Service – Religious or Secular? Former police officer Bob Russell served with the Winnipeg Police Service for 35 years, from 1976 to 2012. He served in uniform patrol divisions, the detective branch, and forensic identification section, retiring at the rank of Sergeant. Since retirement, he continues to follow current issues within the department. He is dead against the creep of evangelical Christianity into the Winnipeg police service, and he is passionate and vocal about it. Here are his thoughts about the chapel in the new police headquarters. 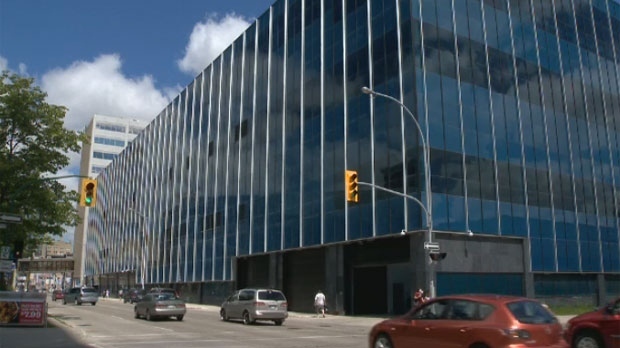 Recently the Winnipeg Free Press reported that the Winnipeg Police Service announced plans for a “chapel” within the new headquarters building. I submit that including a chapel is a bad idea. My thoughts on the chapel also extend to the existence of police chaplains. I speak both as a concerned private citizen and as a retired member of the service for which I retain considerable pride and loyalty. The Winnipeg Police Service is publicly funded to enforce the law, maintain the peace, detect and apprehend offenders, and prevent crime in a multi-cultural, multi-faith city. It must serve everyone without bias or the perception of bias, including those people who do not believe. We know that not everyone, including the religiously faithful, agrees on the numerous and contradictory truth claims of the myriad of world religions, the nature of “spirituality”, or even on the actual existence of supernatural beings. A chapel is traditionally a place of Christian worship. Here it is advertised as a “space for quiet reflection.” As you may know, quiet rooms already exist in all new police facilities, where space is made available for reflection, prayer, or just peace and quiet. Chaplaincy program coordinator Sgt. George Labossiere claims that chaplaincy promotes the “holistic health of officers regardless of their beliefs”, and sells the chapel as “more based on ensuring that our members have a place to go, can connect with people, can make sure that we don’t just ignore the fact that many people have spiritual needs that need to be addressed.” This is double-speak. What he is actually saying is that the service should promote religious or spiritual ideas even though some people don’t hold them. An excellent employee assistance program already exists, with access to professional counsellors who treat a wide range of physical, mental, and spiritual health issues. The Police Service should not be in the business of promoting religious or spiritual notions, regardless of how many or few people believe or disbelieve them. Churches, synagogues, temples, mosques, covens, etc. currently exist in large numbers to look after the needs of those who believe. Police employees have plenty of off-duty time to visit them – frequently if desired. If religion and spirituality is the business of the police service, then chaplains should be employed full time and in far greater numbers, services and prayer should be compulsory and numerous, and there should be spiritual mediums on staff. But the police service doesn’t have full time chaplains, mandatory prayer services, or spiritualists on staff. If not, then why not? Will the chapel be made available for fringe religions? Satanists? Scientologists? Neo-Pagans? If not, then why not? What sort of imagery and icons will the chapel contain? All? None? 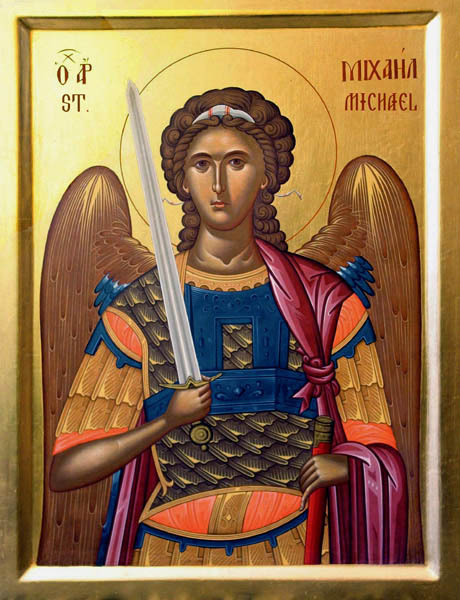 Or will this be an absurd attempt at being “non-denominational”, like the Calgary Police Chapel, which contains only the icon of the Archangel St. Michael, the supposed patron saint of police officers. Is it not odd that some people consider a Roman Catholic saint non-denominational? Many police vehicles in the United States now display Christian crosses. Shall the WPS do the same? If not, then why not? Will the service fly a Christian Flag? Any other religious flag? If not, then why not? A chapel and chaplains encourage unprofessional, unwanted, and unethical proselytization. This has and still does occur. Church Parades were held in the past. Gideon New Testaments have been supplied by the WPS to new recruits, off and on for years, most recently in 2014. A leadership training course, produced and marketed by Christian evangelist John C. Maxwell, was, until recently, taught to newly promoted supervisors. This material contains blatant religiously-themed material suggesting that future leaders should be growing closer to God. It also recommends that future leaders be without personal problems – which are undefined. To many believers, non-belief in the supernatural is a personal problem. Will they be given a fair shake by a supervisor who is assessing a non-believing employee? Maxwell’s goal is clearly stated on his websites. It is to ensure that more Christian leaders are in place throughout the world. Both of these issues were addressed by HAAM, and Chief of Police Clunis assured us that bible distribution would cease, and the inappropriate course would be dropped. He followed through with his commitment on those two issues. However, the planned chapel is another insertion of a faith-based worldview in what should be secular organization. In the last 20 years or so, WPS Awards Days have been held at Grant Memorial Baptist Church, and training sessions for employees have been held at Springs Church. Springs Church is of particular concern because employees of the WPS have been handed church membership information on entering the building. Did Springs offer their facility, complete with many volunteers, and free coffee, snacks and lunches, at a highly discounted rate? I have heard that this was the case. Even if not, Springs took full advantage of the opportunity to try to recruit WPS staff who only wished to – or were obliged to – attend a work-related seminar. That these seminars were organized by a wellness officer who was also a police chaplain makes it doubly suspicious. Police chaplains are always front and center at awards days and graduation ceremonies, offering prayers and benedictions and assuming that everyone agrees with them. Chaplains have always had a privileged place at these events, and this is unwarranted and undeserved. Private fundamentalist Christian police organizations exist with the purpose of evangelizing other police employees, the general public, and persons in custody. 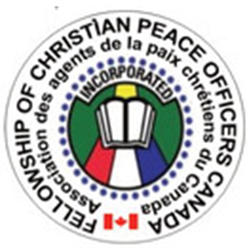 The Fellowship of Christian Peace Officers – Canada, with 1,200 members across Canada, is one. I have no idea how many, if any, WPS officers are members. There are probably a few, and they have the unquestionable right to belong. However, the FCPO-Canada has produced advertising and recruitment videos which include an FCPO-Canada member in uniform, seated in what appears to be the executive boardroom of the Woodstock (Ontario) Police Service, and an officer in the uniform of the Toronto Police Service standing next to a TPS police car. The apparent intended impression is clear and convincing – that this fundamentalist private club has official recognition and the support of the police agencies involved. In 2016, FCPO-Canada and the Canadian Bible Society have partnered to distribute evangelical books to police employees across the country. Such groups will no doubt take advantage of a religious chapel wedged in the police service. It will be used for bible studies, prayer meetings, and speakers aimed at recruiting other employees. The service will surely then be in the business of proselytization to a membership who represent all religious persuasions and no religious beliefs at all. Is this an agreeable situation? Will the service allow other faith groups or clubs to come in as guests to pitch their religion to employees? If not, why not? The potential for strife, internal and external, is obvious, high and dangerous. Will alternate rooms be made available for those faith groups or persons who choose not to share? Some mainstream religious groups are diametrically and violently opposed to each other. All religious faiths are, at their core, convinced that all others are wrong. They are all certainly convinced that non-believers are wrong, many believe that non-believers will be eventually punished, and some would like that to happen sooner rather than later. This is why ecumenicalism and religious pluralism are like a greased pig – very difficult to grasp and more difficult to hold on to. I have heard the argument that chapels exist in hospitals, airports, and many other institutions outside of traditional religious buildings. These arguments are irrelevant because these institutions do not have the same responsibility as a police service. People who are sick or visiting a sick person in hospital, or who are travelling and desire the facility of a religious room should have easy access to one. This is completely benign. But the police are different in very important ways. Firstly, police represent the front line of authority of the state and its institutions which govern us all. Secondly, police have the ability and duty to lawfully deprive people of their liberty. And lastly and most importantly, police have the ability and duty to lawfully use physical or deadly violence on citizens. The police service must not be seen to be favouring or privileging any group – religious or otherwise. As Sir Robert Peel stated, a civilian police must retain the trust and confidence of its citizens. Simply put, the best stance for the WPS is to be officially neutral with respect to religious belief. I therefore propose the following changes to ensure that the Winnipeg Police Service becomes a truly secular agency. One that serves the increasingly multi-ethnic, multi-religious people of our city without any actual or perceived religious favouritism or privilege. The chapel should be cancelled immediately. 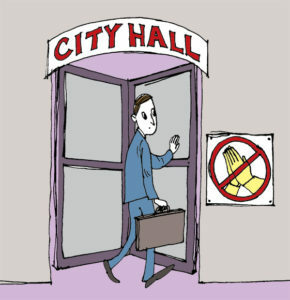 No religious facilities should be installed in any police building. This does not prohibit any memorial to fallen officers consistent with the values of a completely secular service. No WPS facility, uniform, equipment or logos should be used by any religious organisation for any of their activities or advertisements. The blatant proselytization of any religious belief, while on duty and/or within a police facility or vehicle, to employees, civilians, or persons in custody, must be prohibited. No religious literature of any kind may be offered or supplied, while on duty or within a WPS facility or vehicle, by employees to other WPS employees or to any other persons. No religious literature of any kind may be offered or supplied by the WPS to any employees with the exception of approved information used in official cross-cultural training programs. All official WPS functions, ceremonies, graduations, etc., must be entirely secular. Only facilities that are not of a religious nature or purpose may be rented or used for any functions of the WPS. The position of Police Chaplain should be eliminated, and matters of religious faith and spirituality should be left up to the individual. The WPS should announce these changes and its secular commitment to the general public. The City of Winnipeg Act and the WPS Rules and Regulations should be amended to codify the above changes. Nothing prevents individual employees from carrying personal copies of religious texts while working, praying in a non-disruptive manner, or forming off-duty groups of like-minded people. Accommodations have been made for changes to the police uniform for practicing Sikhs. This is reasonable, but even these types of religious accommodations have the potential for problems arising out of historic conflicts. No doubt, other challenging and controversial situations will arise that will make future accommodations more problematic. But in these cases it is individual religious rights, not organisational rights, that are considered and addressed. The Winnipeg Police Service itself has no religious rights; it has only duties and responsibilities. Its duty and responsibility regarding religious faith and spirituality is to be neutral. Its duty and responsibility to the health and wellness of its officers is already met by its current employee assistance program. The religious beliefs of employees and the public need only be individually respected. The furtherance or alteration of these beliefs are private matters which are best left to the individual. Nothing suggested here prevents the WPS from meeting with community religious or non-religious groups as part of its overall duties to serve the entire community. Sergeant Labossiere says the WPS follows the lead of many agencies in North America. Follows? Why not lead? The Winnipeg Police Service should become the leader in establishing and maintaining a completely impartial and secular service organization. Addendum: For more on hospital chaplains and an update on the article in this newsletter, see Privacy Issues in Spiritual Care.